It was a sad morning as Charlotte left to return to D.C. After seeing her off, it felt like a good day to relax and recharge the batteries before flying to Croatia tomorrow morning. 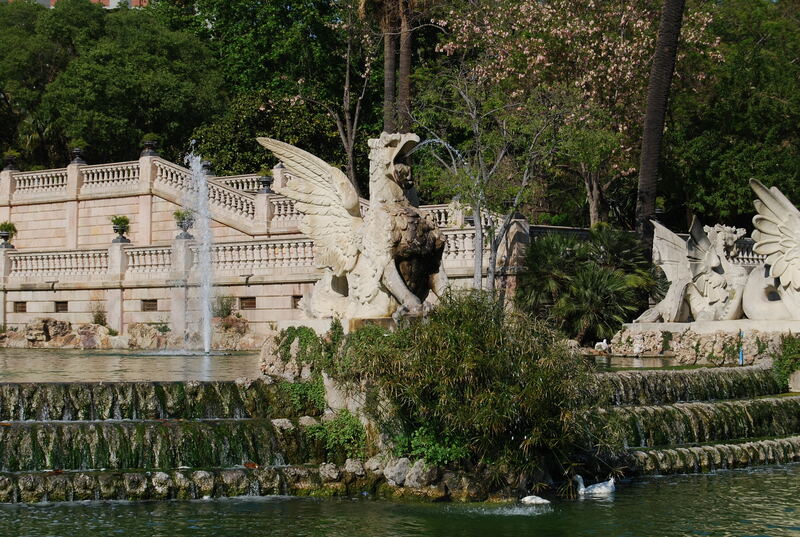 My first stop was Parc de la Ciutadella, a fortress commissioned by Felipe V after taking Barcelona at the end of the War of Spanish Succession in 1714. 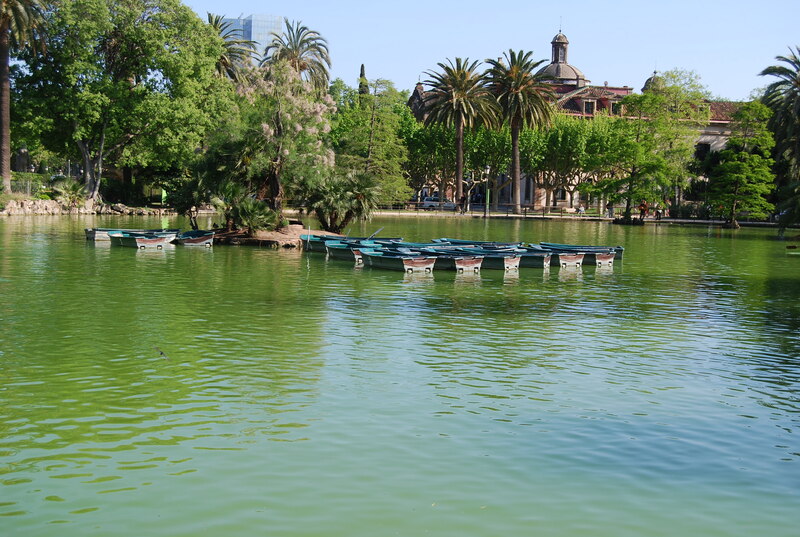 Rebuilt as a park in 1869 for an upcoming Universal Exhibition, it is today a traditional European green space with plenty of ponds, grassy knolls and fountains (including one built by, you guessed it, Gaudi). In other words, the perfect spot for an afternoon siesta. 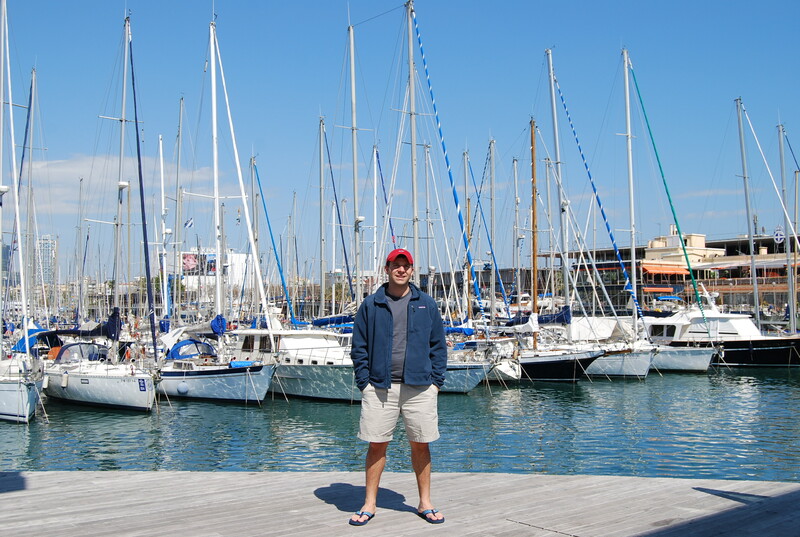 With sunny skies and temperatures in the mid-70s, the man-made beaches of Port Olimpic were next calling my name. They were just right for catching up on some reading and relaxing — although the Mediterranean in April was still too cold for a dip. 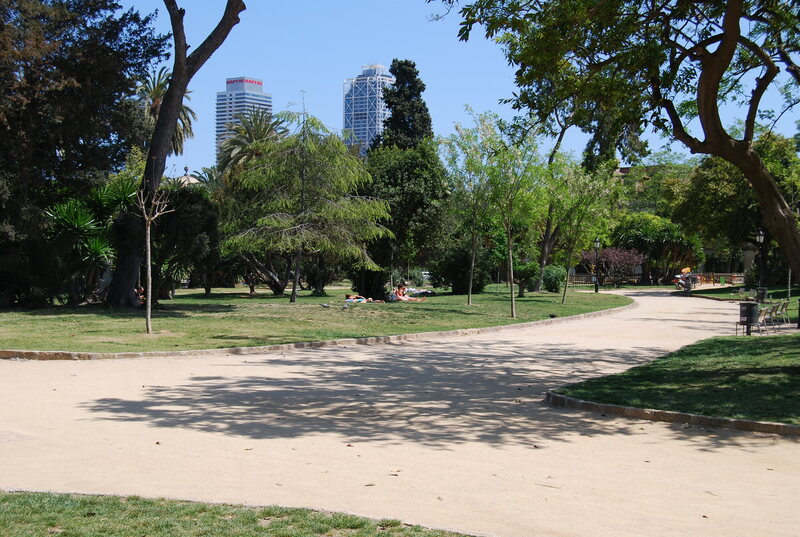 Taking in Barcelona slowly like this today, and seeing all of the city’s green space, got me thinking about energy conservation and the environmental movement in Spain. While Europe is notorious for its small cars and hotel room lights that require a key card to turn on, Barcelona really seems to be taking it to the next level. 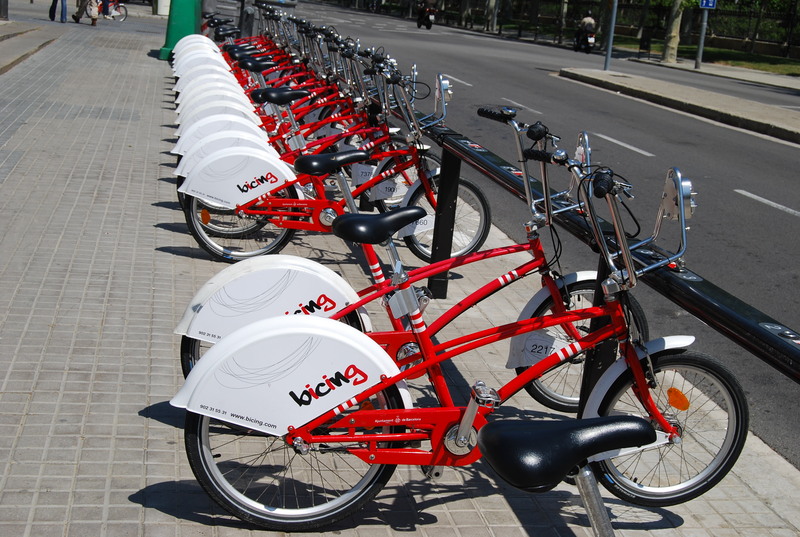 First, there´s a bike-sharing service widely available throughout the city — that’s free. 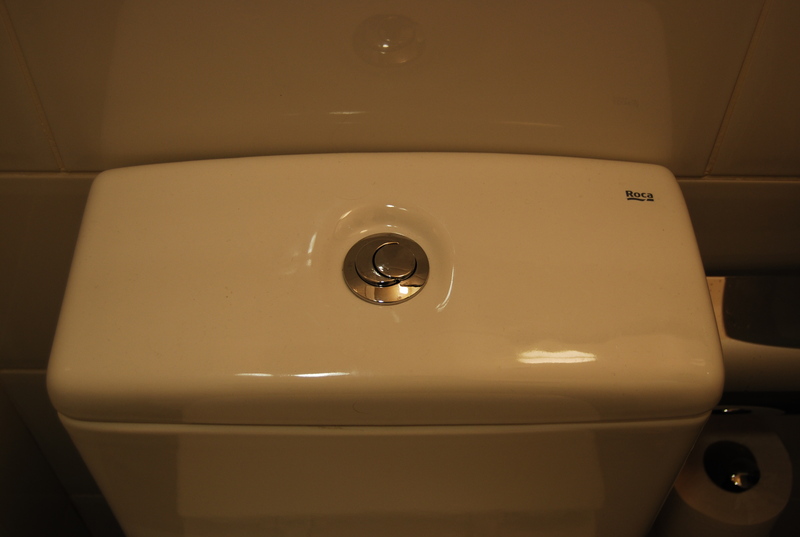 And, even my hostel has gotten in on the action with toilets that have two flush buttons (you figure it out). The U.S. could certainly learn a thing or two (or three) from here. The streets were filled with book vendors and florists here this morning — today is Dia de St. Jordi, what could most easily be described as Valentine’s Day in Barcelona. Men buy women roses; women, in turn, buy books for men. It has become a much-loved national holiday, which meant the streets, plazas and monuments were even more crowded than yesterday. 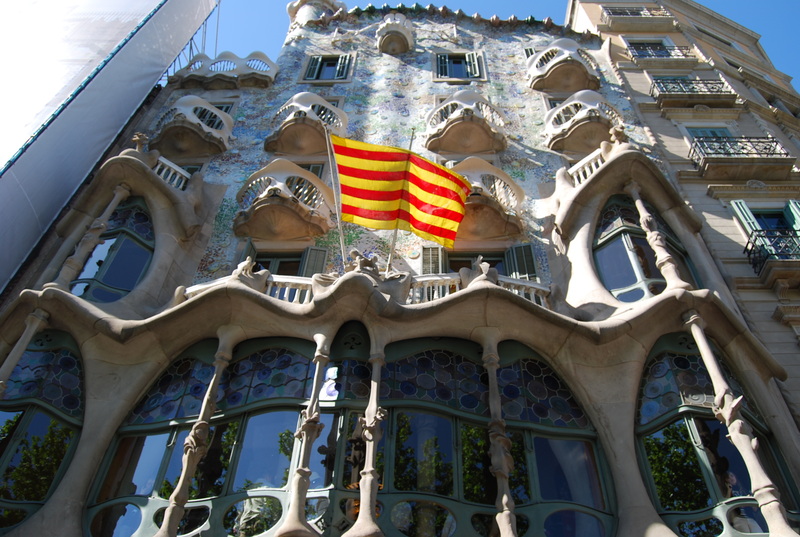 If one man represents Barcelona’s Modernist movement, it is Antoni Gaudi. His architecture, art and legacy are ingrained throughout this city and we spent a good part of today seeing his work. 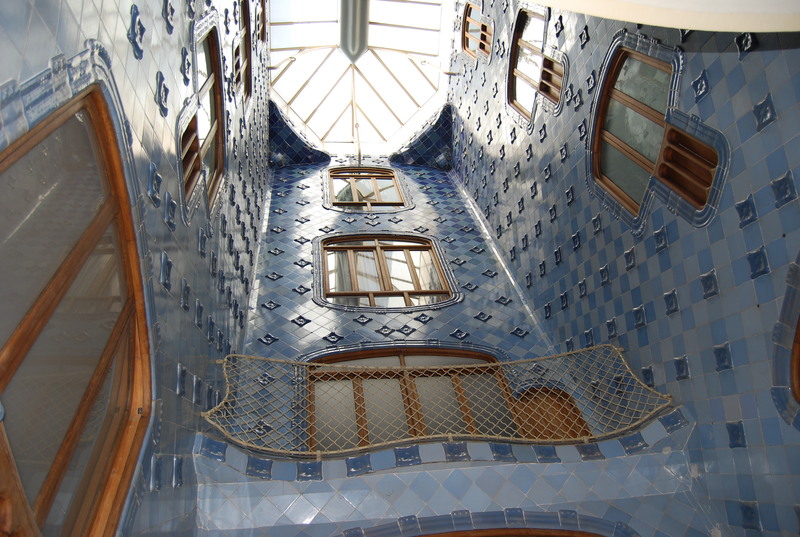 The Casa Batllo was our first stop — this renovated apartment building has a façade whose blue, green and mauve tiles and wave-shaped window frames give the impression that it’ll wash away with the next tide. 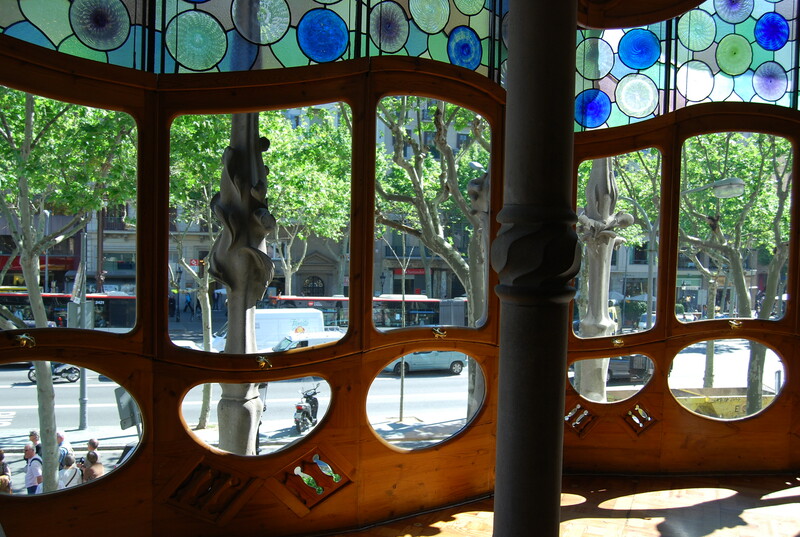 Inside is much of the same: the main salon swirls onto the main drag outside, Passeig de Gracia, while the internal courtyard is filled with undulating deep sea-blue tiles. 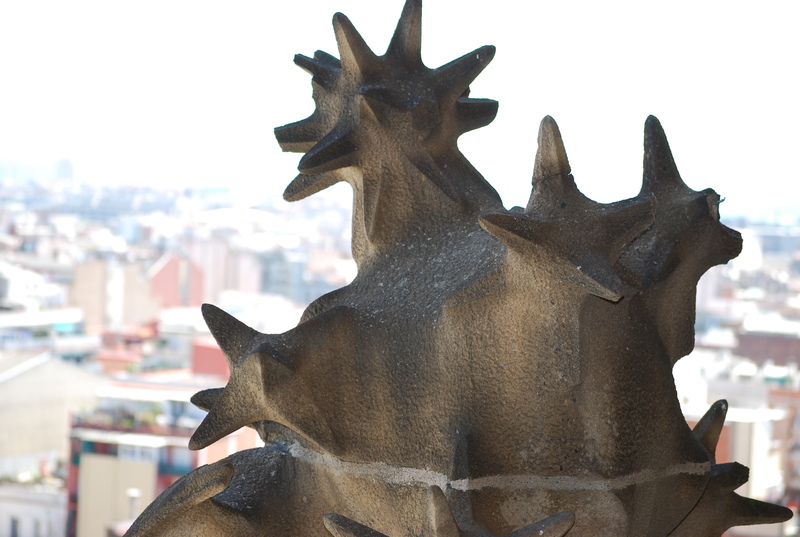 Next was La Sagrada Familia, perhaps Barcelona’s most defining and recognizable landmark. Gaudi became the chief architect of this unfinished temple in 1884 and spent the next 43 years of his life working feverishly to complete it, while obsessing over every detail (when asked why he fussed so much over embellishments at the very top of the towers which no visitors would see, Gaudi replied: “The angels will see them”). 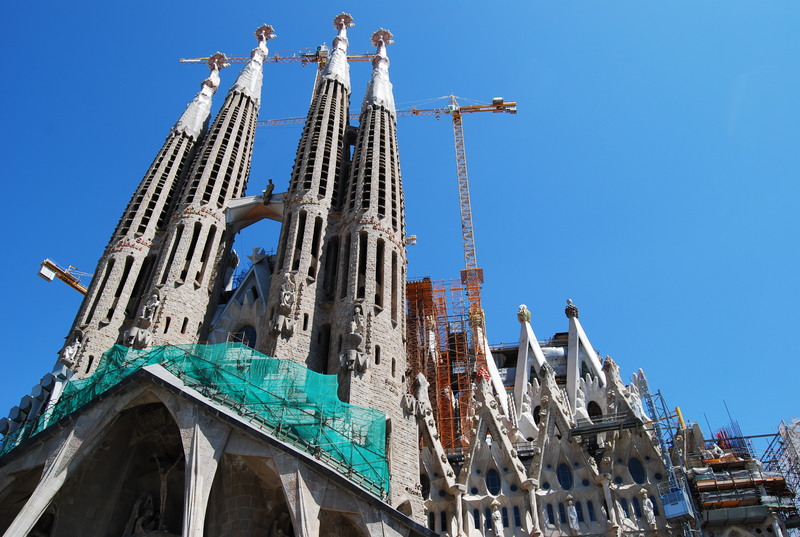 Today, over 125 years after construction began, La Sagrada is said to be still only half complete. 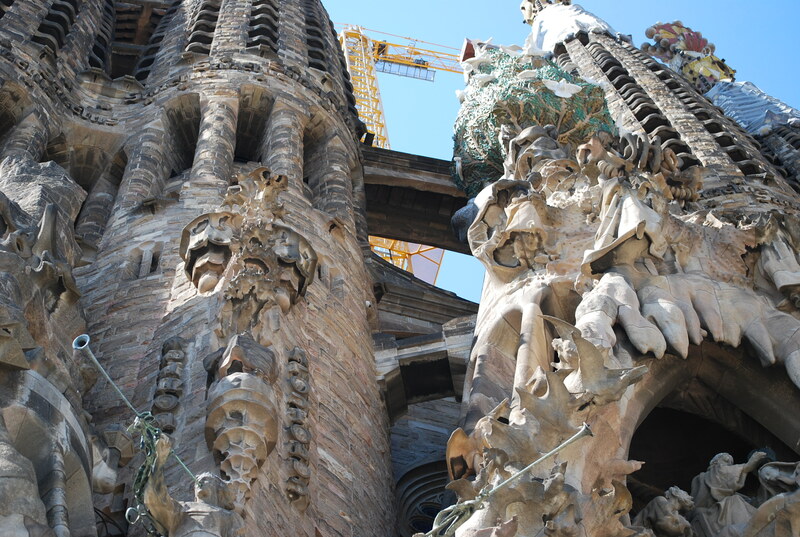 Rarely do you get to see the construction of a religious structure of this magnitude — more often, you can only experience them years after their completion. 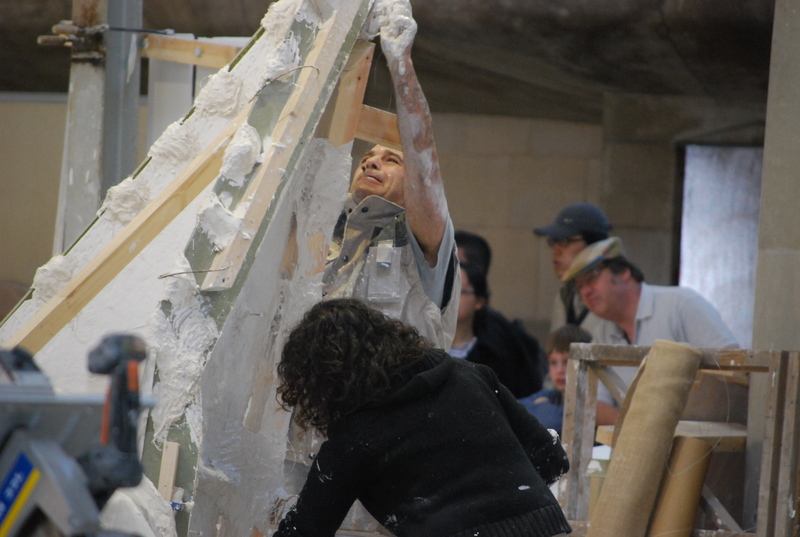 While the portions of La Sagrada that have been finalized are no doubt magnificent, part of its appeal, at least for me, was watching the artisans, craftsmen and construction crew continue to build it. 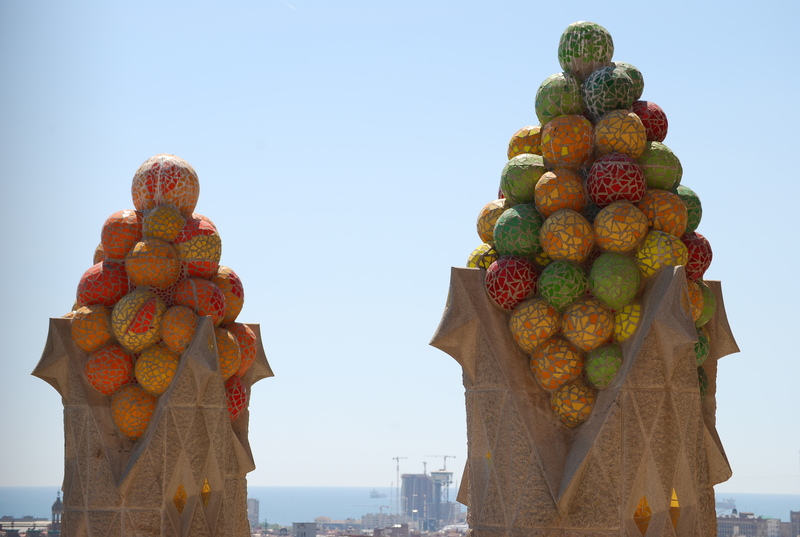 An elevator to the top of a tower offers another perspective of Gaudi’s work, as well as distant vistas of Barcelona and a vertigo-inducing walk down to the ground. 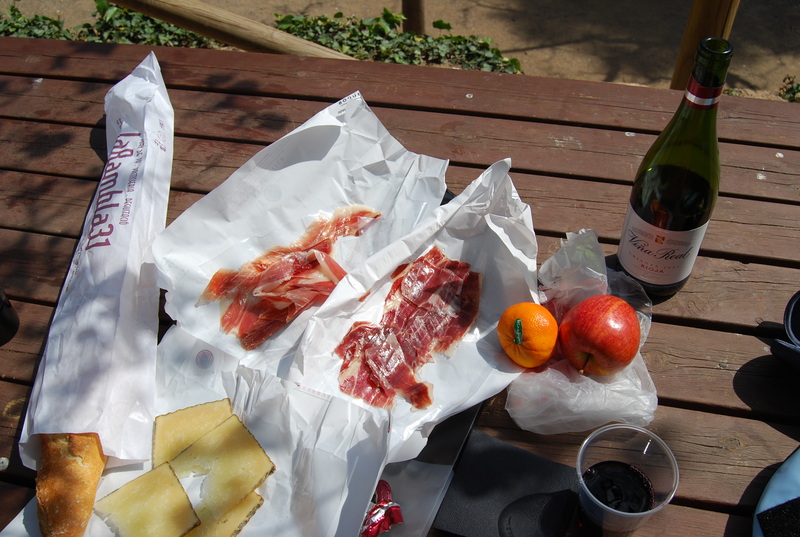 Needing an escape from the tourist onslaught, we walked back to Las Ramblas and bought a baguette, some Manchego queso and a couple varieties of Serrano jamon, packed it up with fruit and a bottle of Spanish red wine and jumped on the bus to Parc Guell for a picnic. It was a delicious desayuno. 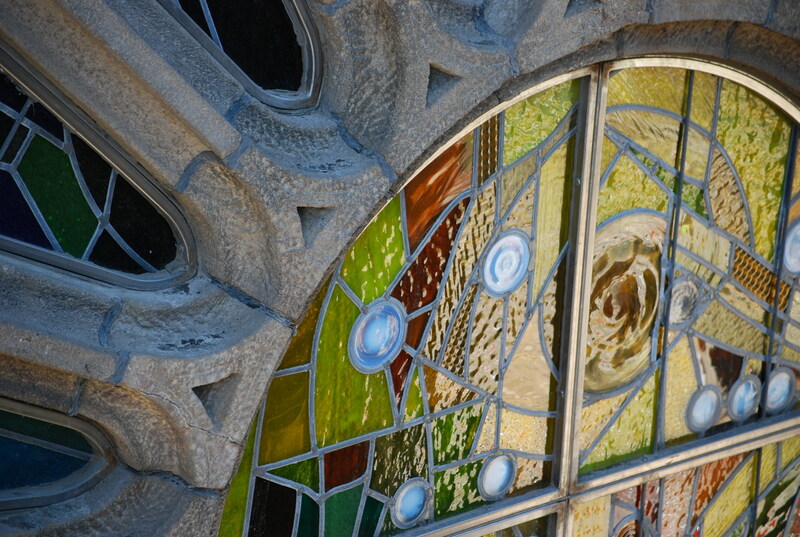 After lunch, we walked around the park, which Gaudi was commissioned to create in 1900. 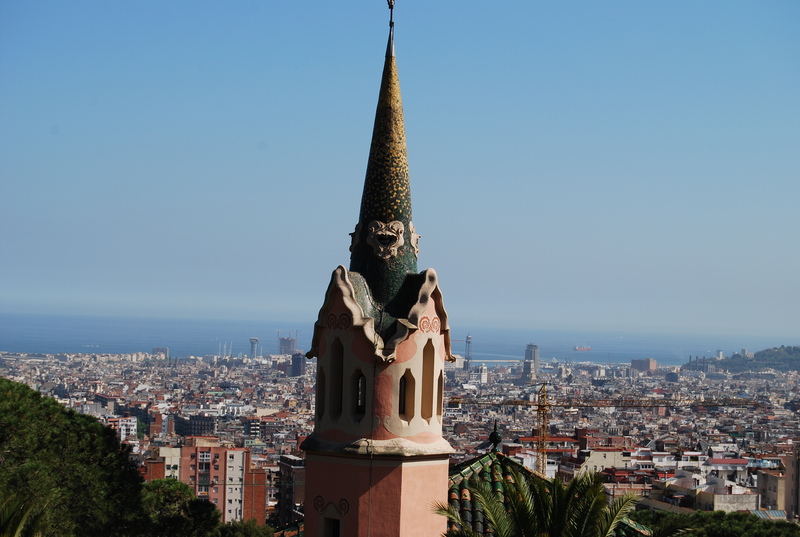 There are fairy-tale style gingerbread houses, candy-colored mosaic tiles and sweeping views of the mar. Tonight is Charlotte’s last night. 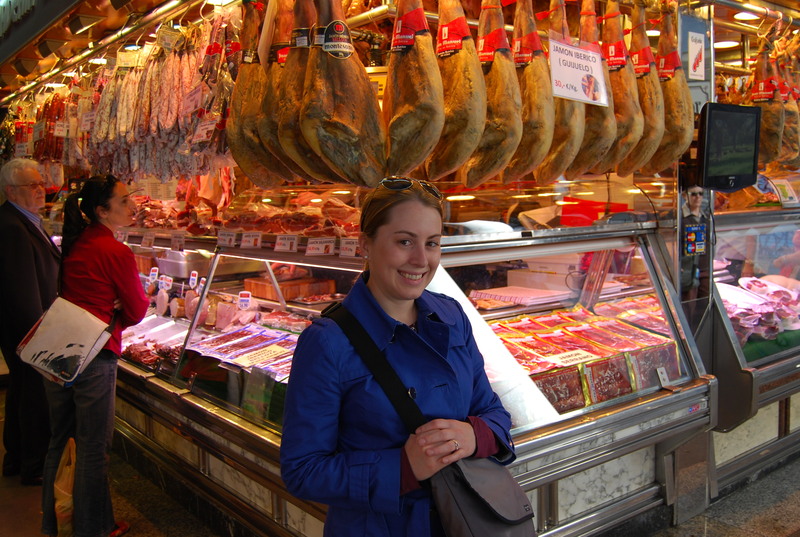 So, we’re off to do something special — I’ve got a feeling it might involve jamon y queso. After a train, plane and automobile, we arrived here this morning and made our way to the Somnio, a new, centrally located hostel that was opened a couple of months ago by two sisters from the States. We dropped our bags off and walked to Origenes — a delicious nearby restaurant that offers traditional Catalonian cuisine made with all locally-sourced ingredients. 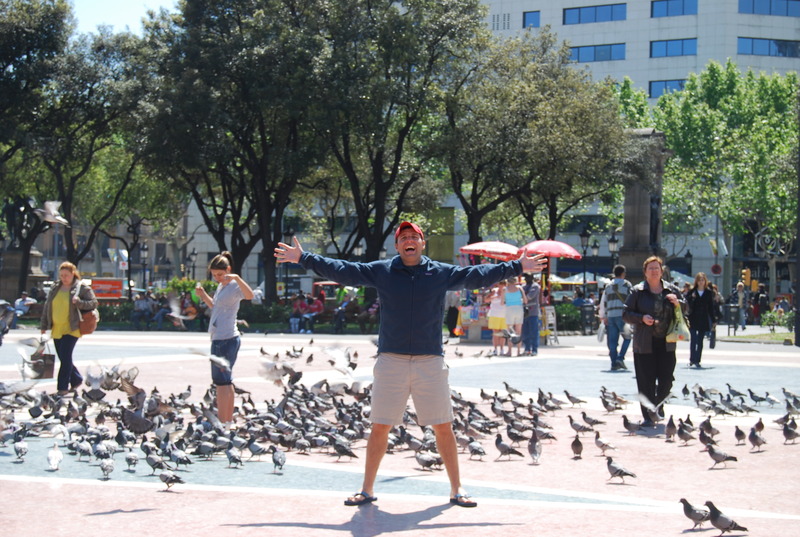 Our next stop was Plaza de Catalunya, home to perhaps Europe’s largest population of pigeons (after Venice). 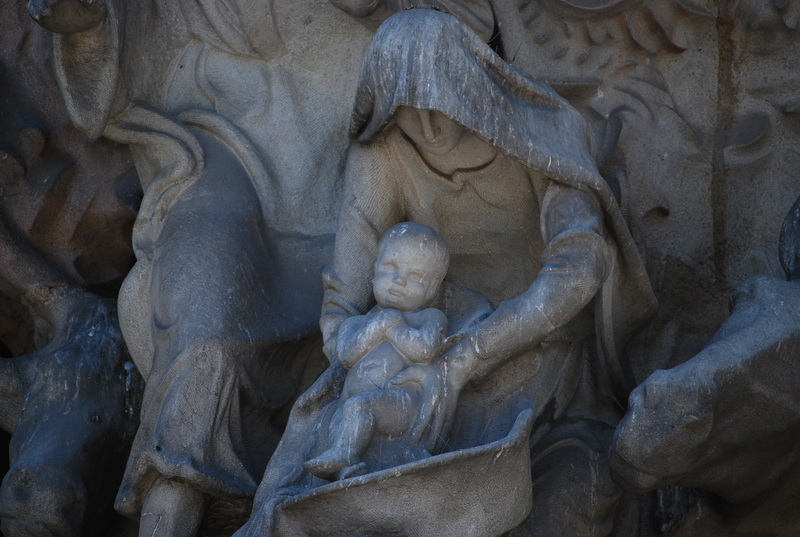 Dodging tour groups and backpackers, we took a moment to take in what is said to be the heart of Barcelona. 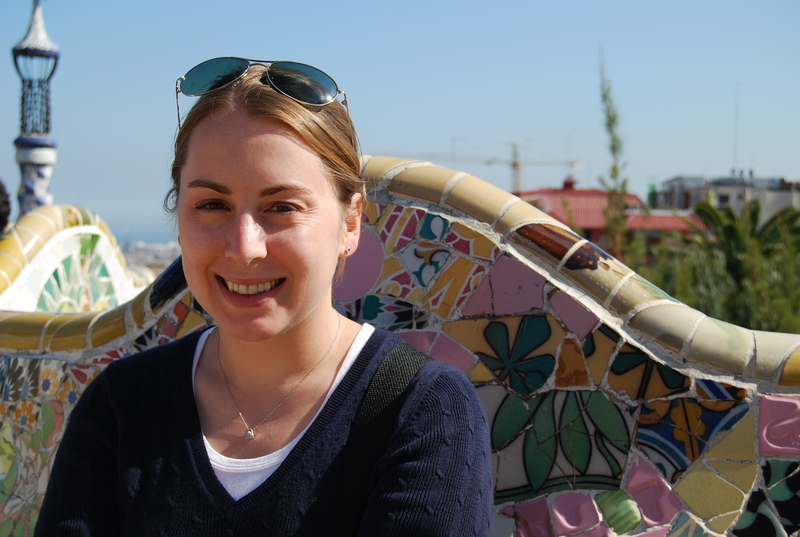 Feeling particularly like tourists, we then headed to Las Ramblas, a clogged pedestrian thoroughfare filled with football jersey-wearing Brits, mimes, outdoor pet stores, a Hard Rock Cafe and an overabundance of tourist schwag and Serrano jamon. Las Ramblas ends at Barcelona’s waterfront, which on a beautiful and sunny afternoon was packed with boaters, sunbathers and yes, more tourists. The marina is a modernist building with a mirrored-roof that reflects the foot traffic below. Can you spot us? This city feels alive — but not in the Marrakech, Morocco sense. There are tourists nearly everywhere you look. We’ll try our best to walk the line between seeing the sights and not making a dinner reservation at Planet Hollywood. Wish us luck. 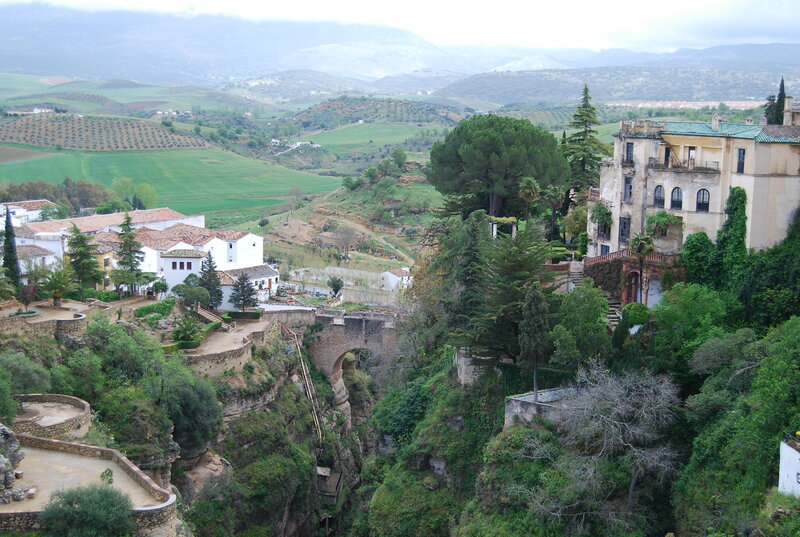 Perched atop a limestone cleft sits this small town about 100 kilometers north west of Malaga. 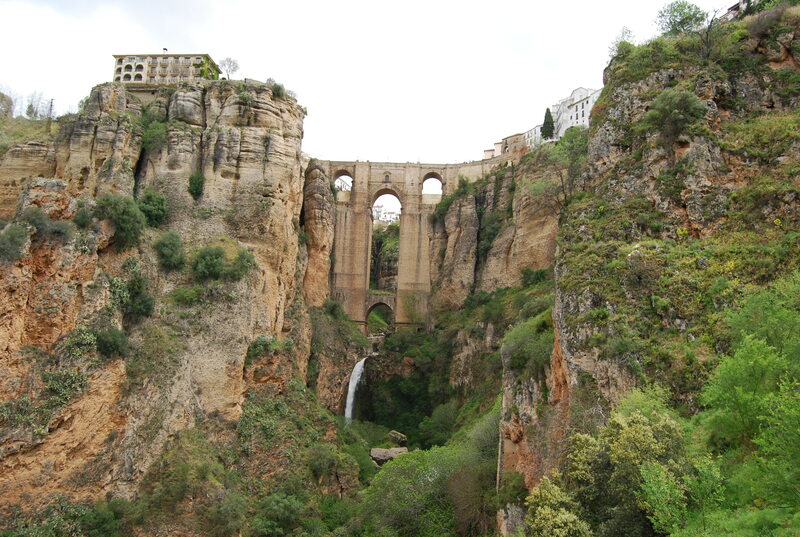 We took a bus here this morning and soon learned why Ronda was one of the last Moorish bastions in southern Spain (it fell to the Christians in 1485). Its mountainous location 700 meters above sea levels affords it a fantastic vantage point to the surrounding valleys below. 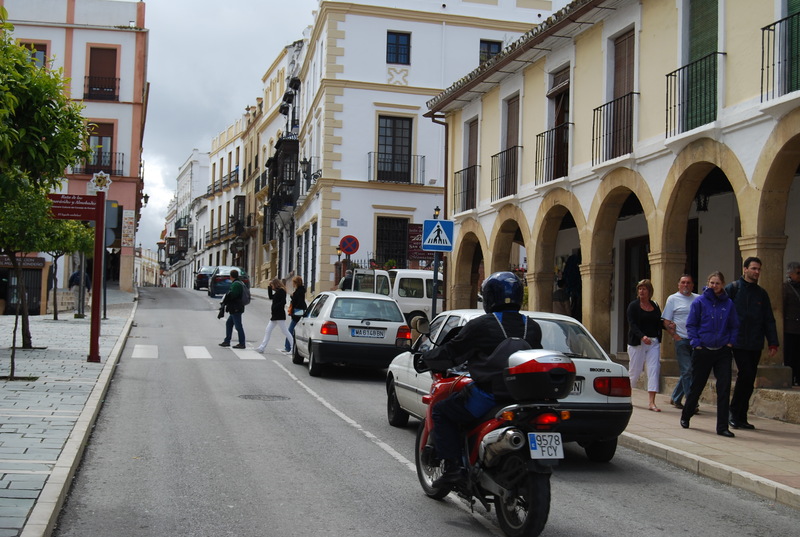 Still, it has retained its Moorish influences and charm, with cobblestone alleys, whitewashed buildings and window grilles. 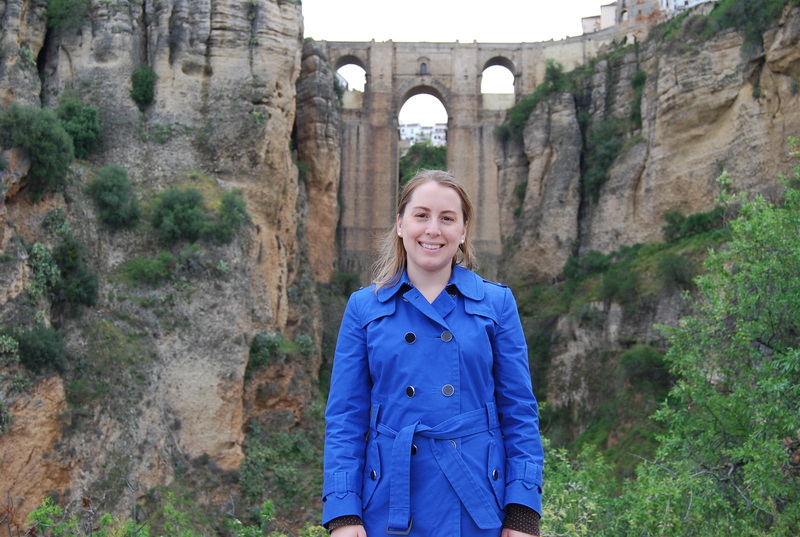 Ronda’s most defining feature is the Puente Nuevo (New Bridge), which spans the Tajo Gorge. It was considered a tremendous feat of civil engineering when completed in 1793. After returning to Malaga, we hit up El Corte Ingles, possibly the best department store in the world, before finishing the night with some tapas. Our flight to Barcelona leaves tomorrow morning. 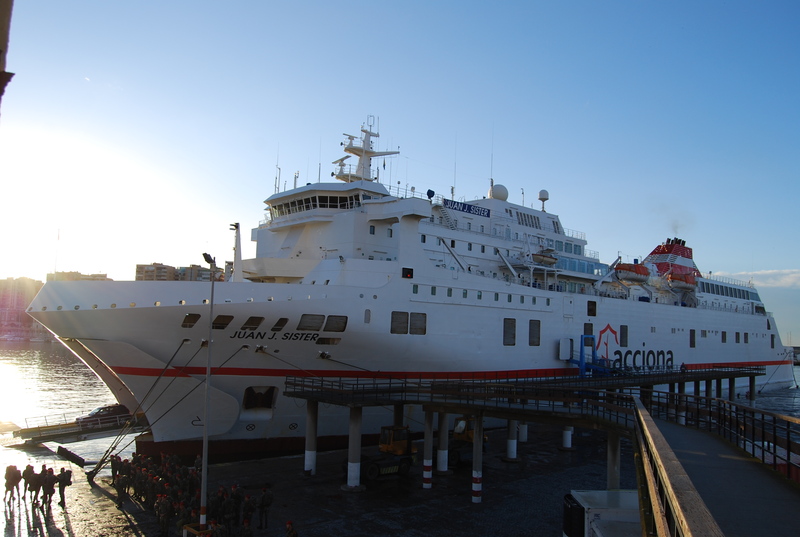 Our overnight Acciona Trasmediterranea ferry from Melilla was actually quite comfortable. We had a cabin, and perhaps more importantly, a bathroom with shower, so we were able to wash up before disembarking here at around 8 a.m. We bid farewell to the boat and took a taxi to Silken Puerta Malaga, our hotel base for the next two nights. 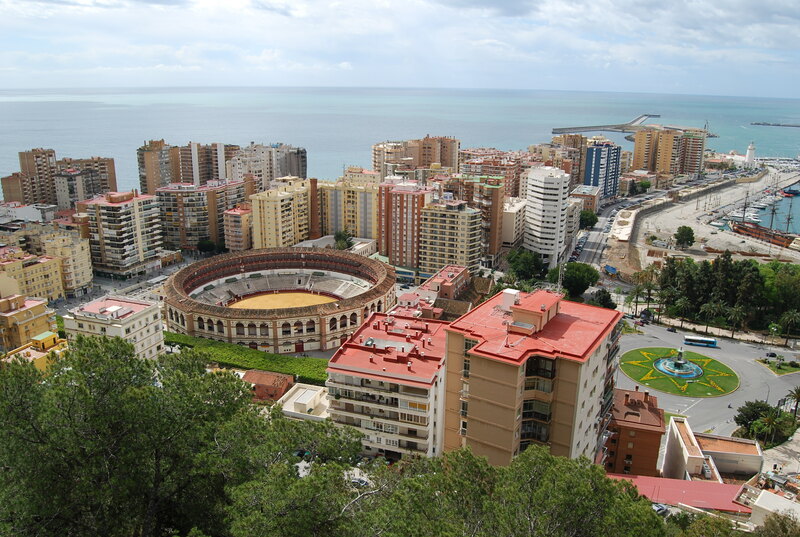 Malaga is Andalusia’s second largest city, and with its high-rise buildings and active port, doesn’t offer the best first impression. 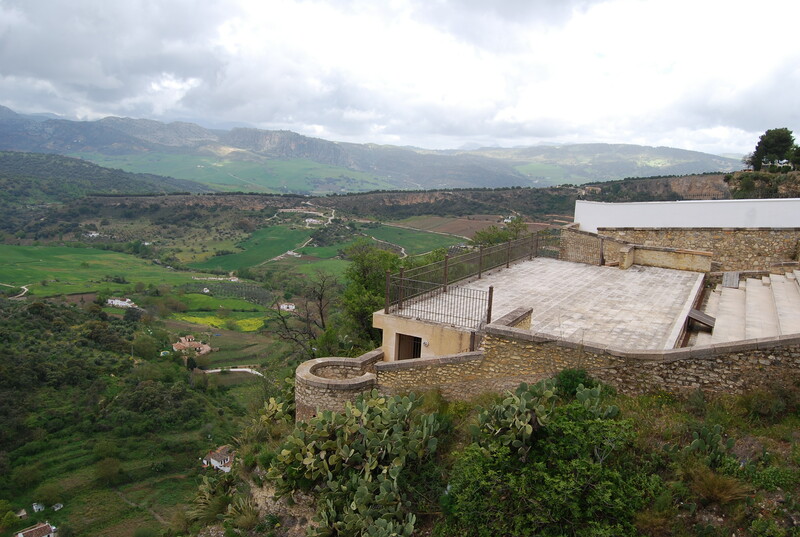 Many use it as an access point to the Costa del Sol, which is unfortunate, considering how much it has to offer. We started the day by visiting the old town’s cathedral. 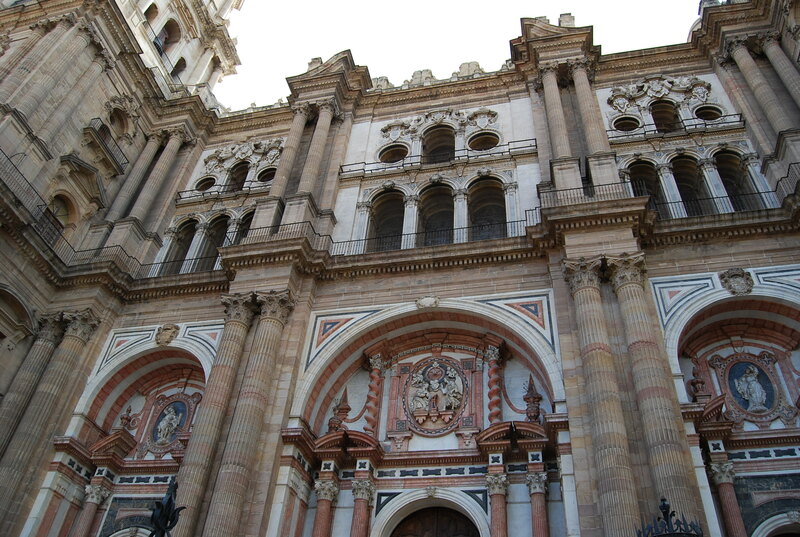 Construction began on it in 1528 but was interrupted by an earth quake in 1680; in 1765, funding ran out and the half-built second tower was abandoned, thus the cathedral’s nickname: La Manquita (the one-armed one). 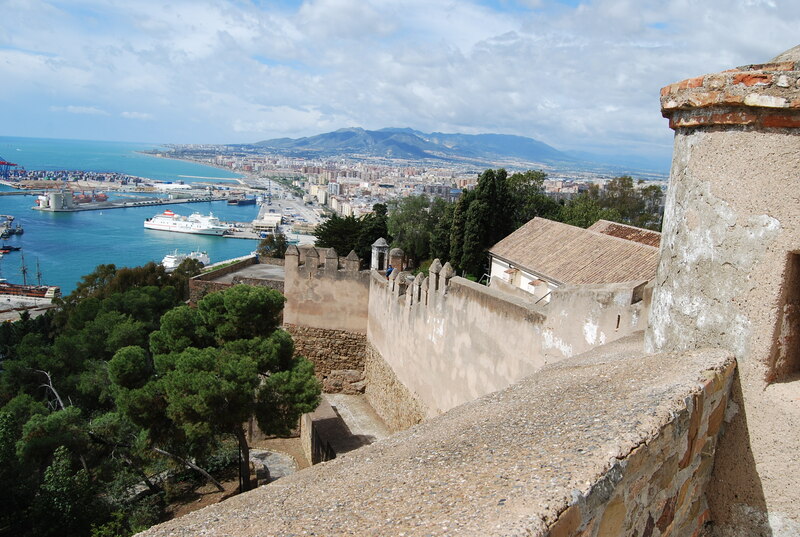 Afterwards, we visited the Museo Picasso Malaga (Picasso was born in Malaga) and then trekked to the top of the Alcazaba, a fortification built high on a hill between the 8th and 11th centuries. 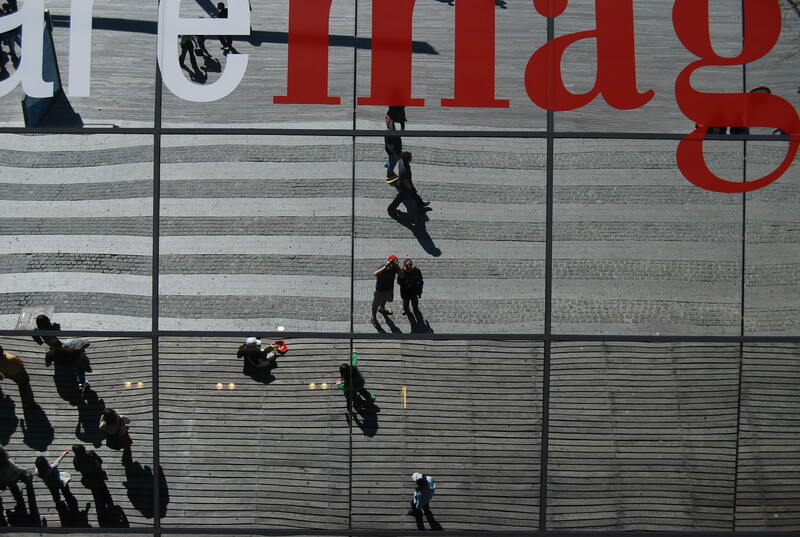 From up above, it offered some great panoramic views of the port, bullring and surrounding city. 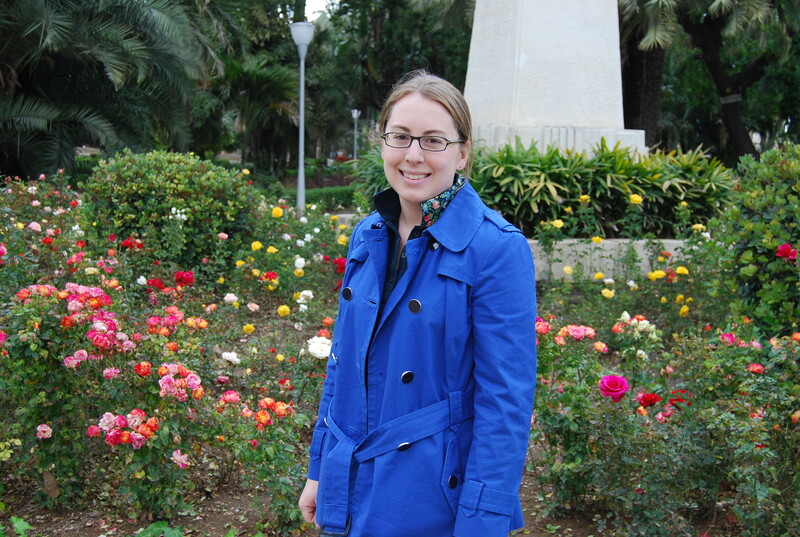 We’re still recovering from our week in Morocco and adjusting to the time difference (we’re now 6 hours ahead). Still, tonight after some bocadillos (small sandwiches), we headed to the B Lounge at the Barcelo Malaga Hotel and took a ride down the slide (yes, slide) that connects the first and second floors. 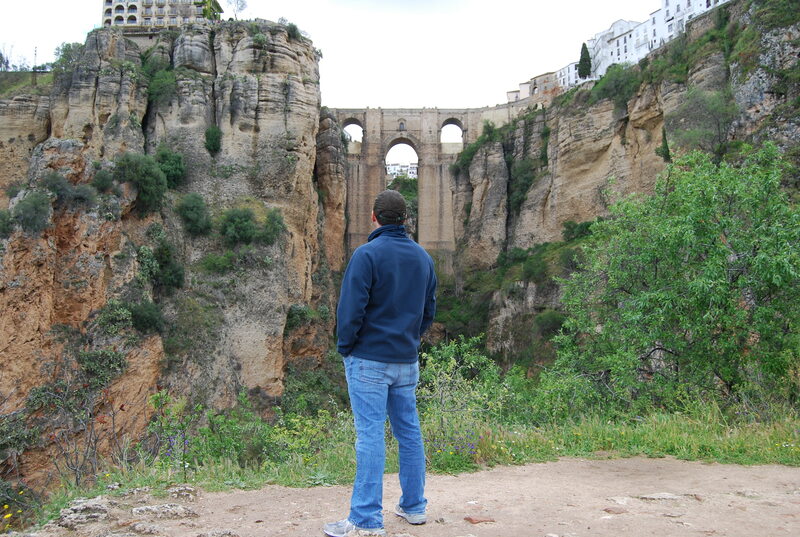 Tomorrow, we’re going to the picturesque town of Ronda, accessible only by bridge and home to Spain’s oldest bullfighting ring. A taxi strike in Fes almost prevented us from getting here today. 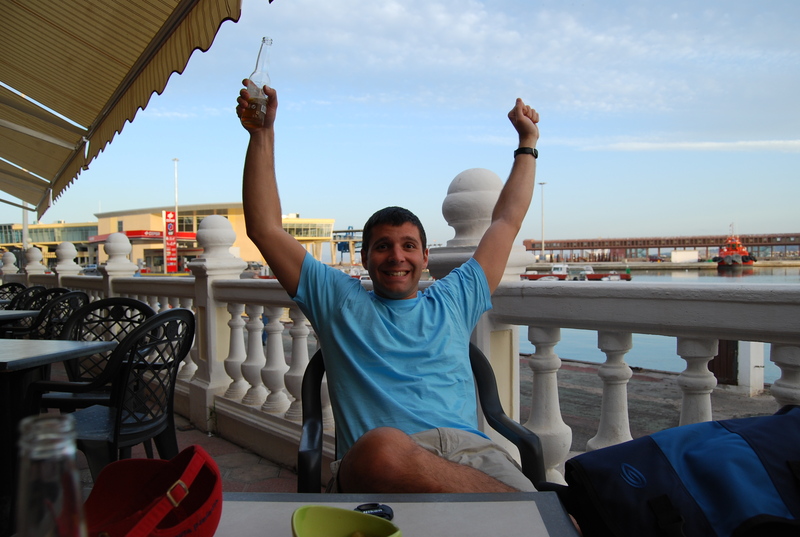 Once the 600 dihrams were out of my wallet though, we were ushered into a car for the 325 km drive to Nador, a town of about 100,000 a couple of miles south of the border with Melilla. Our 4.5 hour trip was like a thrill ride at Six Adventures, minus the seat belts. 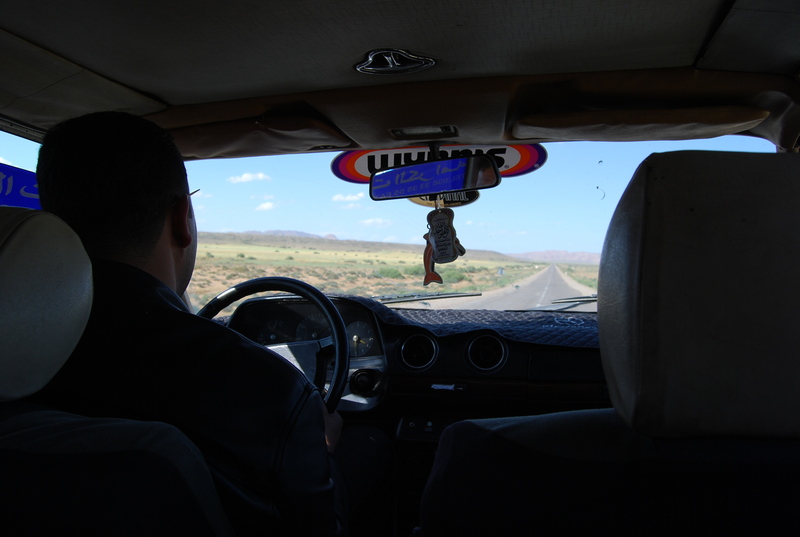 Moroccan drivers don’t abide by the speed limit, right of way or the concept of two lanes. So, we didn’t get much rest in the back of our 25 year-old Mercedes Benz. 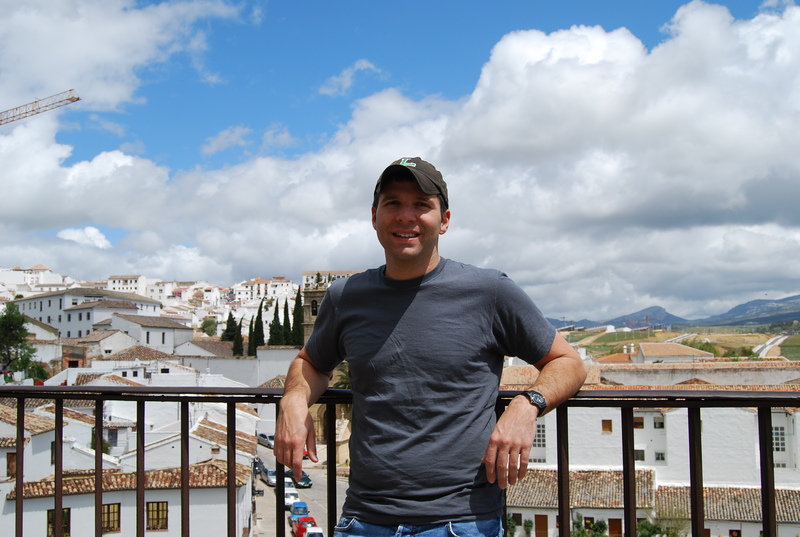 After what seemed like endless olive grovers and roaming herds of sheep, we arrived at the frontera. 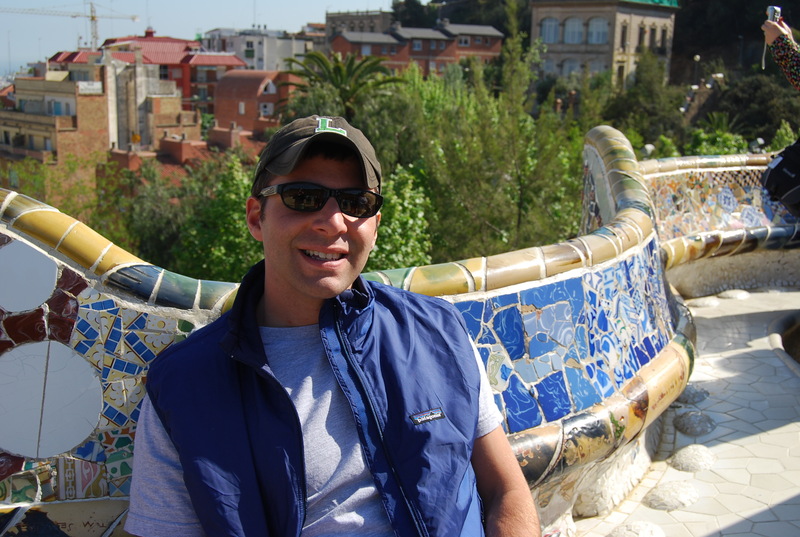 American passports in hand, we jostled to the front of the line and easily entered Spain. 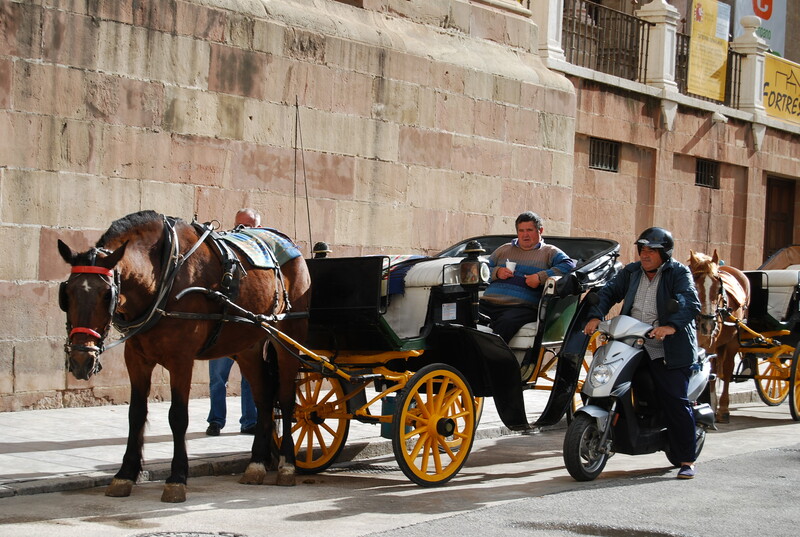 The change was almost immediate — hustling taxi drivers and touts from shop keepers were nonexistent in Melilla (where Franco launched the Spanish Civil War in 1936), although we were still on the African continent. We just had salads and mussels for dinner and toasted our arrival in country #2 on my trip around the world. Morocco was an amazing but exhausting place — and we’re excited to be in Spain, although not as much as our stomachs are. 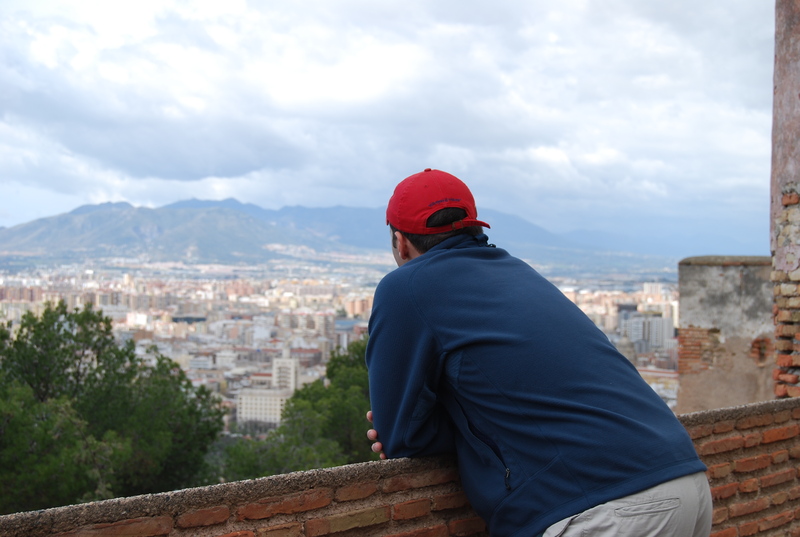 Our overnight ferry to Malaga, Spain departs in two hours.